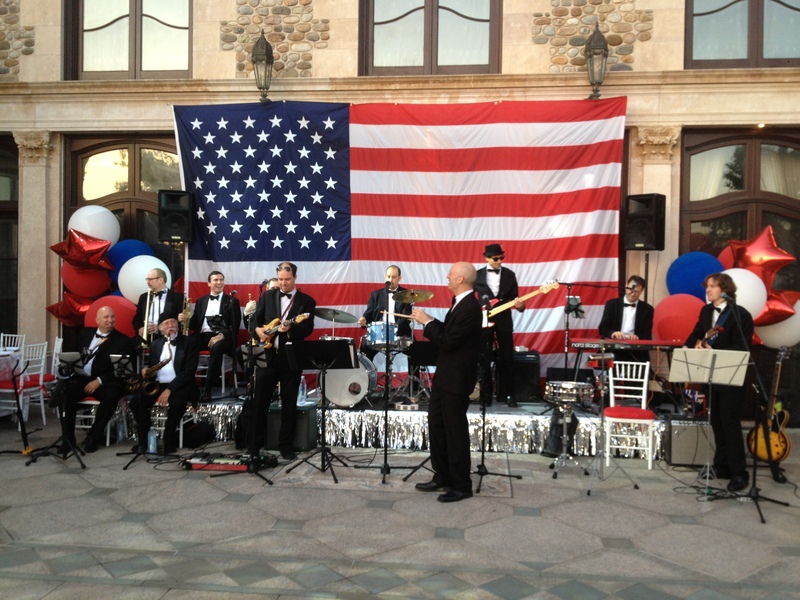 Opulence Celebrated With a Great Big Band! 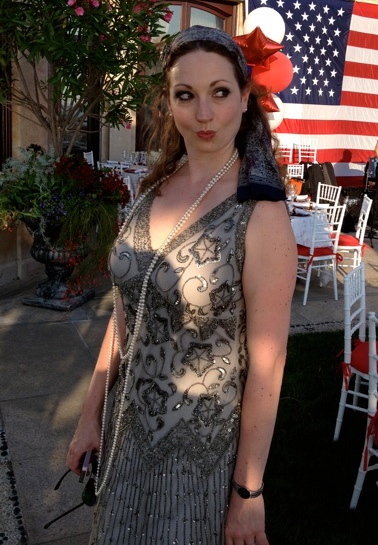 Man, did we have fun saluting the glitz and glamour of the jazz age this past July 4th weekend. Our good friends at AriZona Beverage Company did it again! 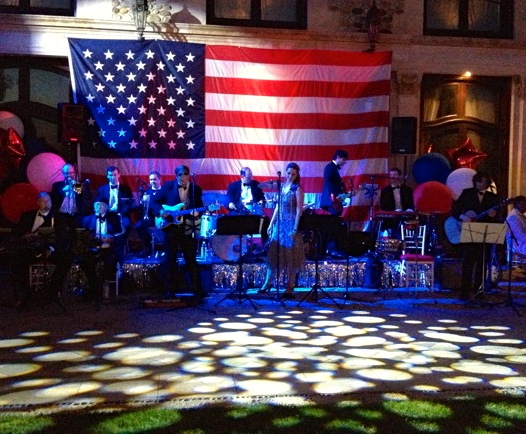 They simply throw the best parties (and hire the best band) especially when it comes to rockin’ a theme. This year’s release of Baz Luhrmann’s The Great Gatsby not only inspired all sorts of fashion trends, but also prompted folks to throw Gatsby themed events. 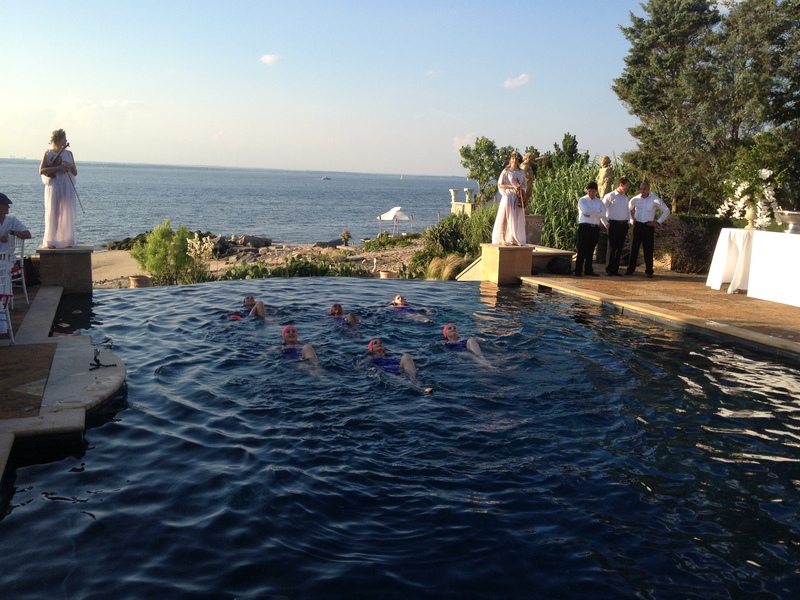 We were lucky to get to be a part of this particular soiree. 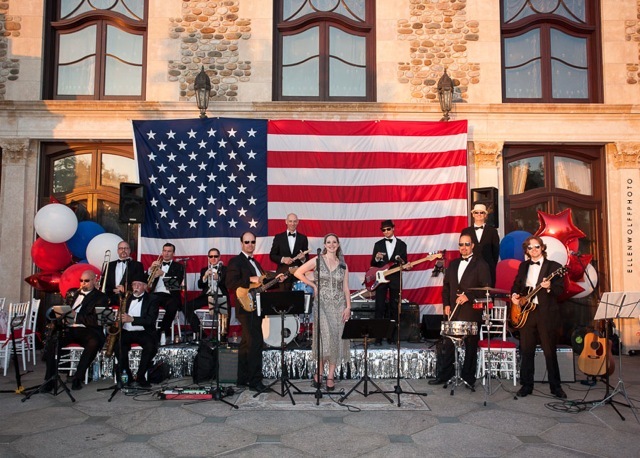 Because of the over-the-top style of the roaring twenties and the decadence of Gatsby we were asked to expand Nite-Time to 12 pieces so we could play tunes from the era in style. What a joy to have all of those horns to sing in front of, and extra percussion so that Yves could step out in front and conduct while joining me in a few duets. We played some great old songs from the ’20s for about an hour or so before dinner. Then the dancing shoes came out and we mixed it up with some modern hits, some Stevie Wonder (to make those horns work) and of course, classic rock – always a favorite of this crowd. Yves and the boys having some fun! We got a chance to watch the synchronized swimmers they had in the pool during the cocktail hour before we played. I can honestly say, that was a first! Everyone got into dressing the part.